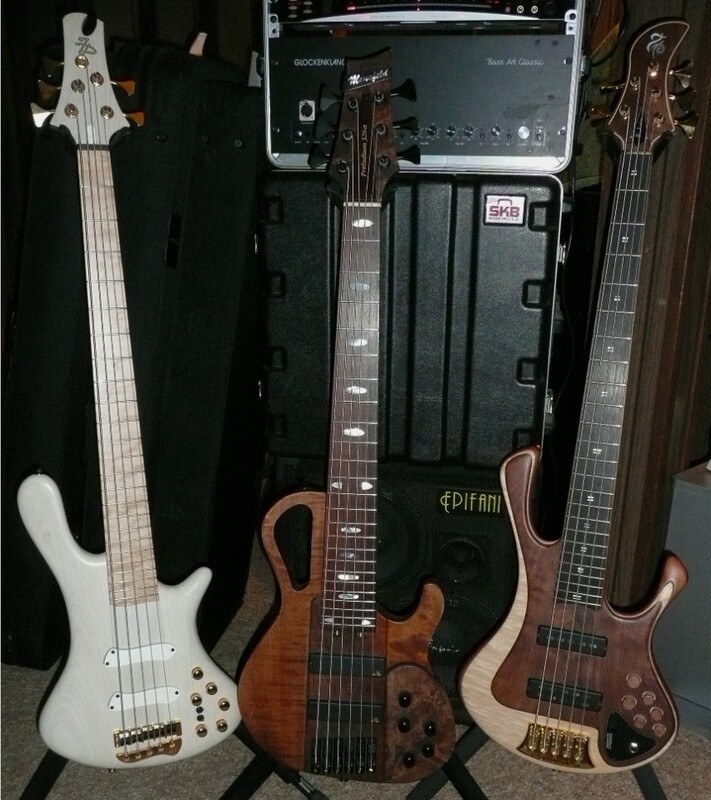 Jerzy Drozd Soul V, Matthew Mensfeld 6 with 32” scale, and Zakrzewski Exclusive 5. Drozd – snappy and big voiced, not shy about speaking up Mensfeld – like a big solid body jazz guitar – great B, and it is a 32” scale! Zakrzewski – great playing smooth neck thru that can also funk it up. 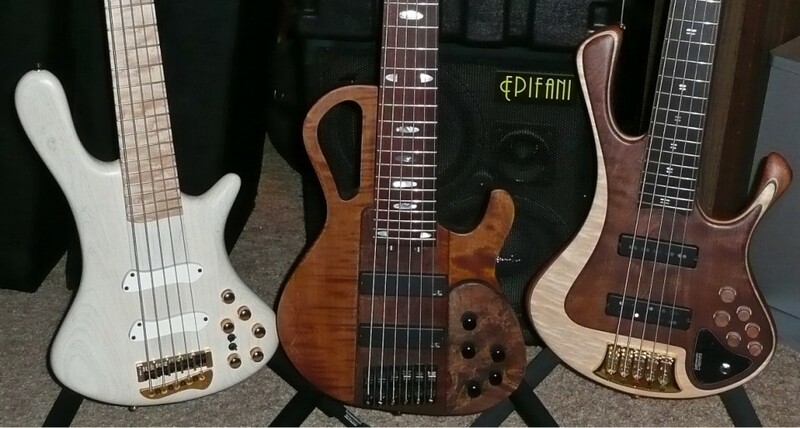 What is the common denominator among these basses?